for $584,900 with 5 bedrooms and 3 full baths. This 2,686 square foot home was built in 2006 on a lot size of 0.1600 Acre(s). Beautifully maintained with original upgrades, this home is an exceptional value with high ceilings in the formal living, dining, kitchen, family room and main floor office(that could be a 5th bedroom). 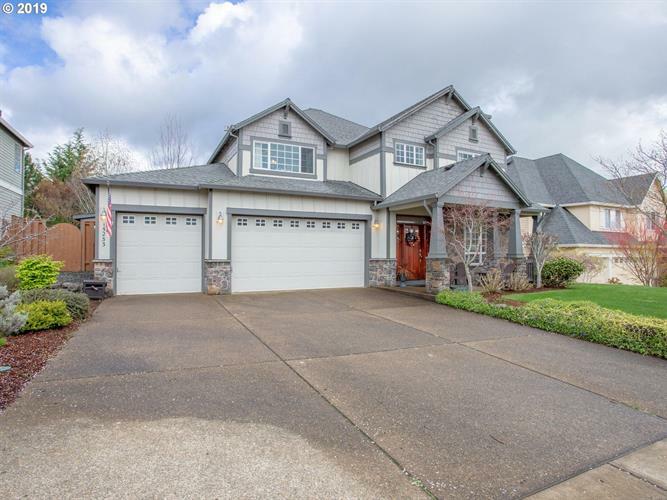 The open floor plan is great for living and entertaining.The deck and level backyd add to the functional living space.The four large bedrooms upstairs are highlighted by the large master suite w/firepl, wi-closet and territorial view.